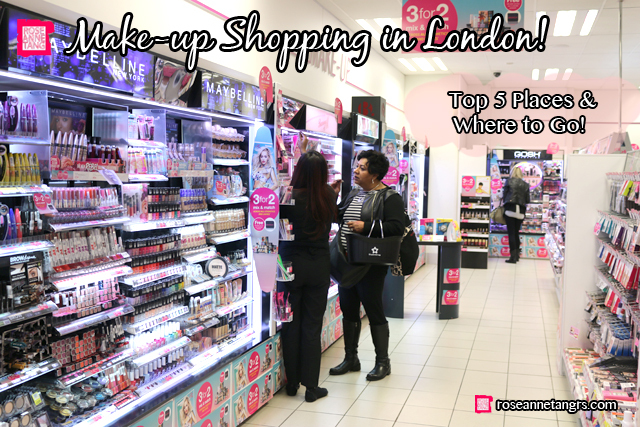 Top 5 Places to Go Make-up Shopping in London! Hello from London! I’m currently on my annual London trip to see my sister with my family and to enjoy this amazing place so apologies for my lack of updates. I’m also visiting a few other countries while I’m here, mainly Switzerland & France take advantage of the cheap budget flights around Europe. I’ve been hard at work filming my vacations and my Switzerland vlog is up already on my youtube channel! I’m heading to France tomorrow morning and will start in Nice first! 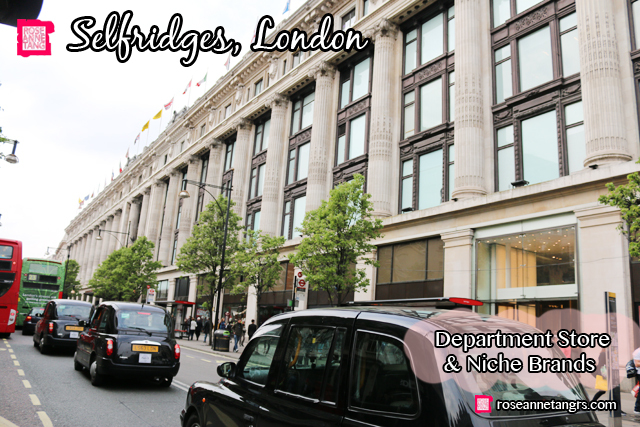 I don’t want to leave my blog dusty so I thought I would let you know my top 5 picks to go make-up shopping in London! I hope it comes in handy if you’re thinking of visiting here too. London is actually no stranger to me. I did my IMA make-up diploma here and I visit on a yearly basis. The beauty scene therefore is something I have been observing but have never had the opportunity to pen down. I was walking around Oxford Circus and thought I’d take pictures for this post. They’re a little shaky sometimes because I was literally being a spy. I don’t think I’m allowed to take photos but I did what I could 😉 So let’s start! 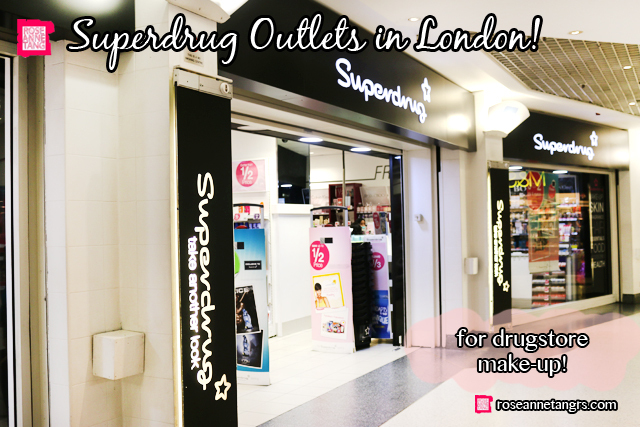 Superdrug is very similar to Watsons in Singapore, or Priceline in Australia. 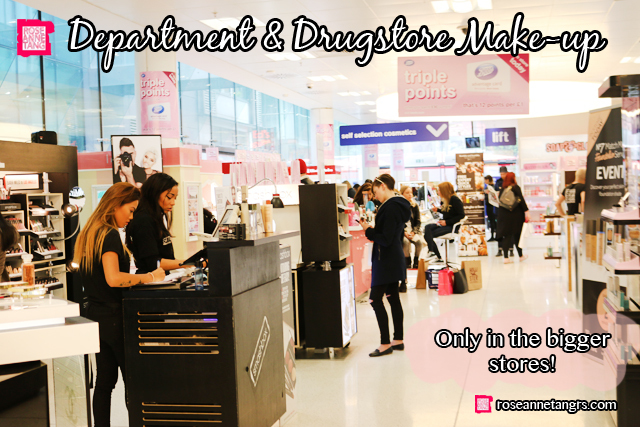 It’s where you’ll find all the drugstore make-up brands from Maybelline to L’Oreal, Rimmel, Max Factor and Revlon. 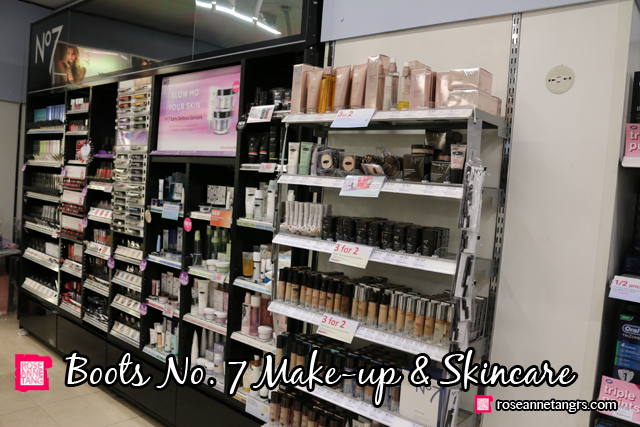 But you’ll also find local UK brands like Sleek, MUA, and Collection and even Seventeen as well. In terms of prices, it depends on the brand and when currency conversion is taken into place, they can equal in value to Singapore. 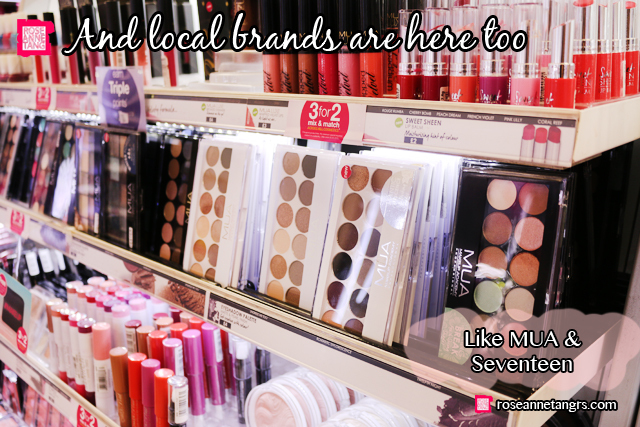 However, if you’re talking about brands like MUA – some of their stuff range from 1 – 4 pounds (2 – 8 SGD) which makes make-up very cheap if you’re looking at the more local brands and they’re pretty great in quality too! Sleek is probably the most hyped about and can be very affordable especially the palettes which are great value. 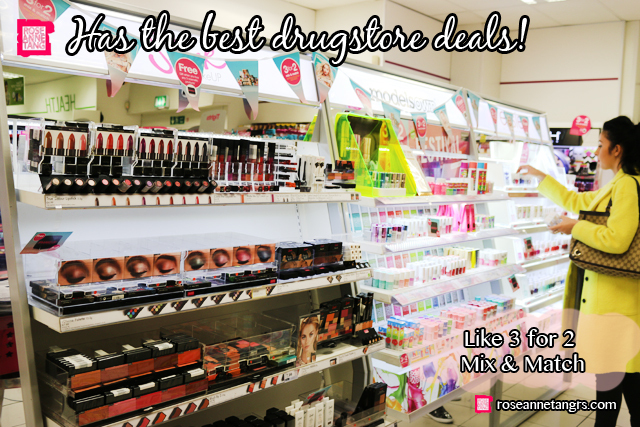 One thing I love about Superdrug is that it often has amazing beauty deals ie Mix & Match 3 for 2 across all cosmetic brands over it’s main competitor, Boots which I will talk about later. Another thing I love about Superdrug is the huge assortment of hair products – bands, brushes, pins and clips that is much bigger than the hair sections you’ll find at home. Hair devices like Babyliss curlers and event the auto curler is easily available too. 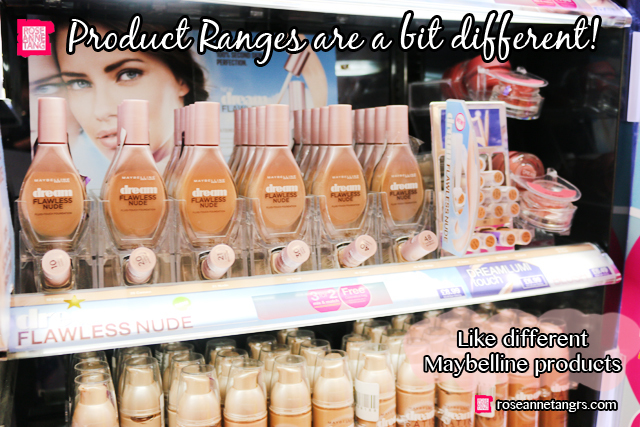 You’ll find also that although we do have Maybelline and L’oreal in Singapore, the product ranges are different and alike to Australia and US where foundations are more popular than say BB products and packaging is different as well. Selfridges is easily my favourite department store. 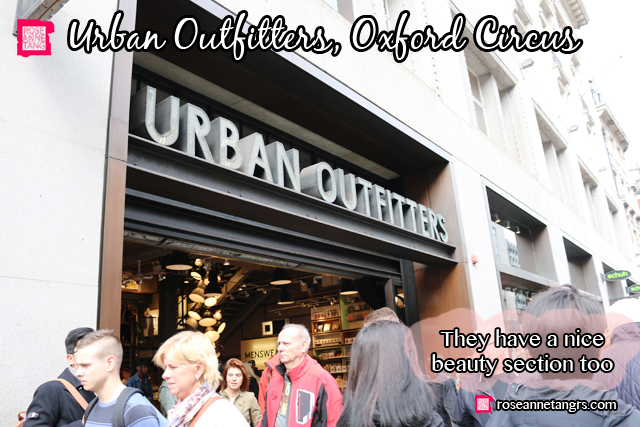 It’s located just out of the Bond St. tube station and houses I think the largest beauty section. 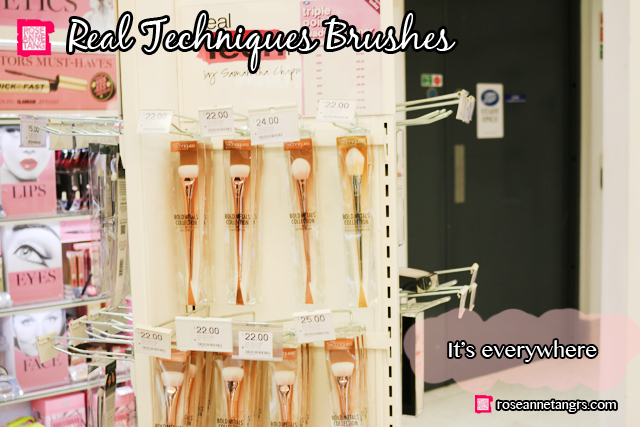 Of course you’ll find your high-end department store make-up that lives everywhere around the globe. 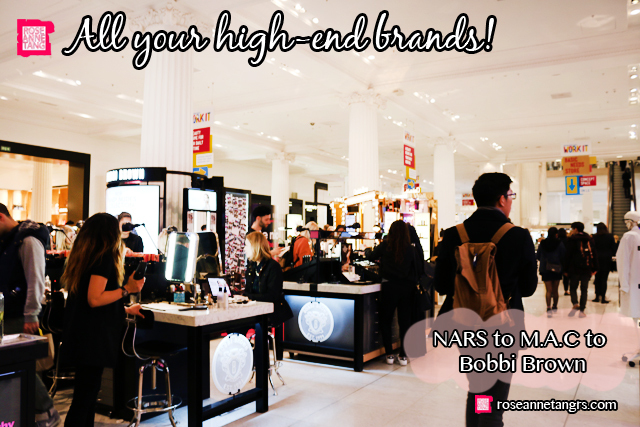 NARS, M.A.C, Bobbi Brown to Estee Lauder and Clarins. You name it, the high-end brand is there. 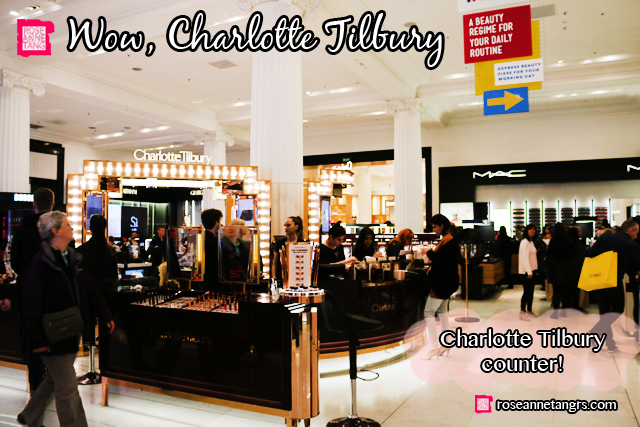 I also was surprised to see Charlotte Tilbury too! It’s my first time seeing the actual counter and it’s amazing and very inspiring to be honest. The beauty scene here is lively and upbeat to say the least. As you walk through the counters at Selfridges, every single MUA and sales assistant is on their feet with immaculate make-up on and amazing skills. 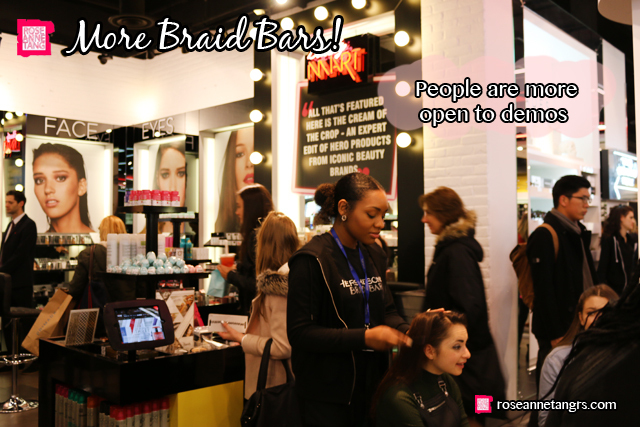 They’re buzzing around different customers who are willing to have their make-up done on the spot and watch demos and interact with them. I reckon the beauty hall is the most high energy department in the whole of Selfridges. 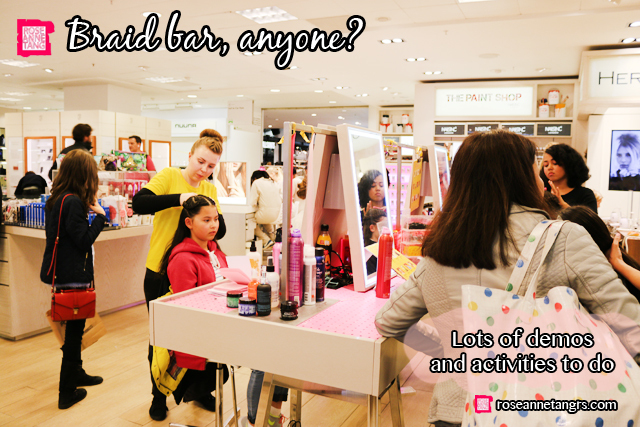 But counters can be found everywhere and one thing you’ll have to check out is the more niche beauty section of Selfridges. I wouldn’t stay totally niche though – more like brands you’ll find at any Sephora – Clarisonic, Aveda, Origins, Eve Lom – that kind of thing. Not super mainstream but like still pops. 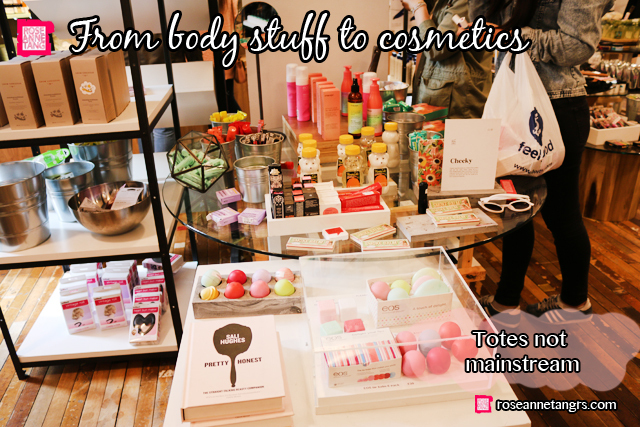 They also have EOS lip balms EVERYWHERE now – just at every beauty store you go to. Selfridges is also home to OCC or Obsessive Compulsive Cosmetics and Elis Faas too which you can check out in the more niche section. 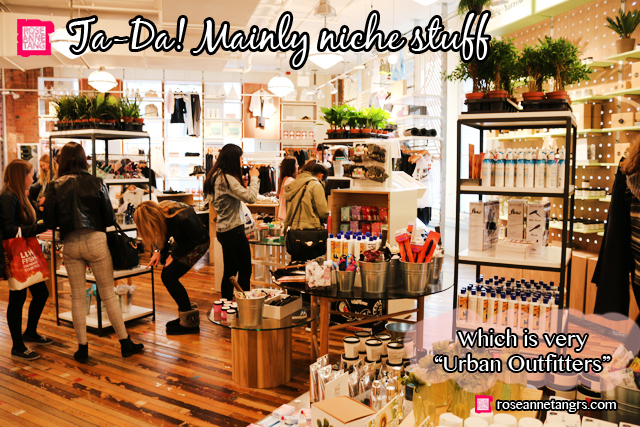 Urban Outfitters is quirky, cool and very “not mainstream” in their brand philosophy and clothes. So it’s no surprise that their beauty section is no exception. The Urban Outfitters at Oxford Circus (not sure about the other UO stores around London) is huge – three floors – and on the top floor lies the beauty section. 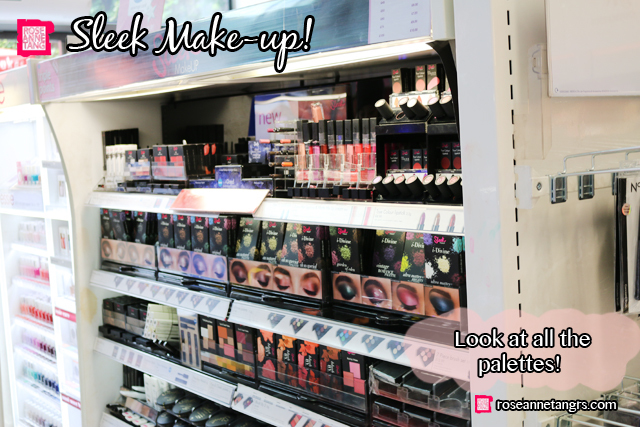 It’s all stuff that you wouldn’t normally find at the counter or at any Boots or Superdrug and it’s worth your time to take a look if you want to be experimental and try something new. 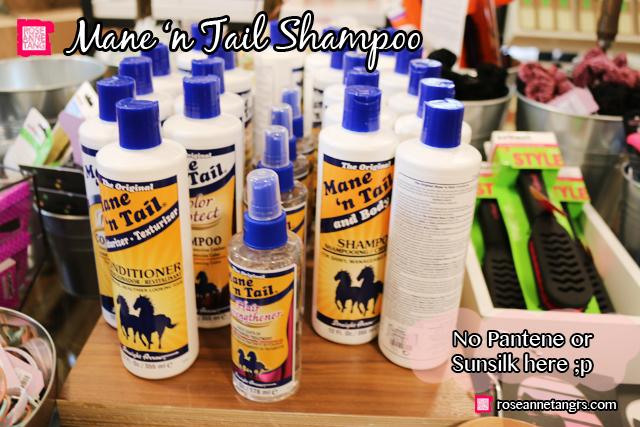 Think Egyptian Magic Cream to Mane N Tail shampoos. 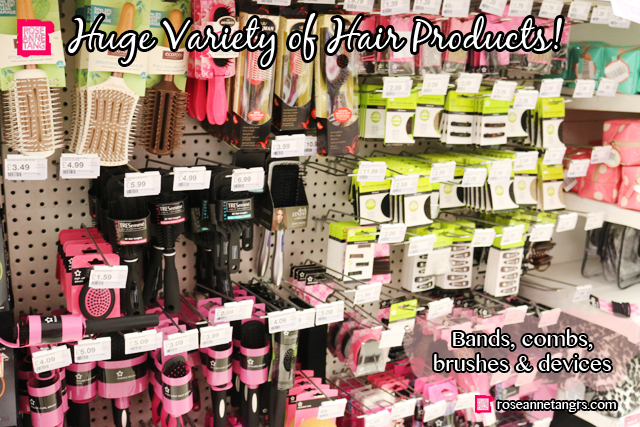 They have everything you need from hair care products to make-up! Boots is a UK staple. It’s everywhere and I think more prevalent than Superdrug. 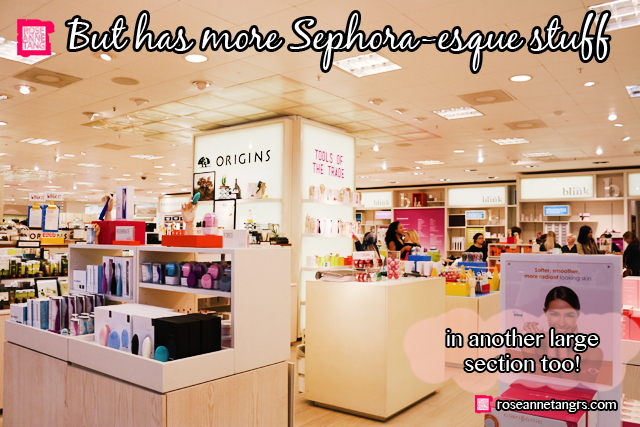 It is essentially an entire bath, body, makeup and skincare mecca and is very similar to Superdrug except for a few things. 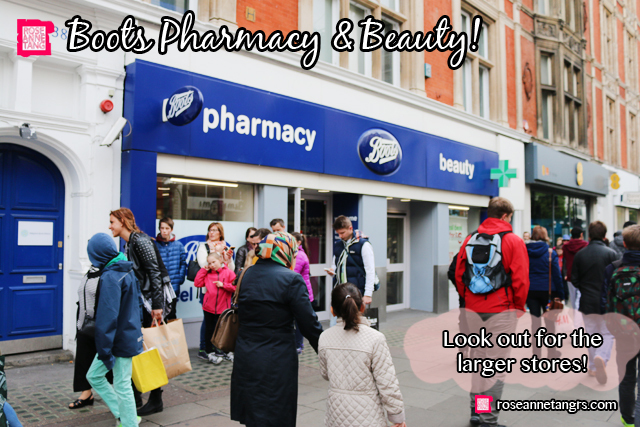 In the bigger stores like in Oxford Circus, you’ll find that Boots has all your major high end and department store brands – in a Boots drugstore – which is something I found quite unique. Smashbox, Benefit to even Clinique counters can be found at large Boots stores. Secondly, Boots No. 7 is a popular brand by itself eventhough it is house brand, it has made a name for itself. 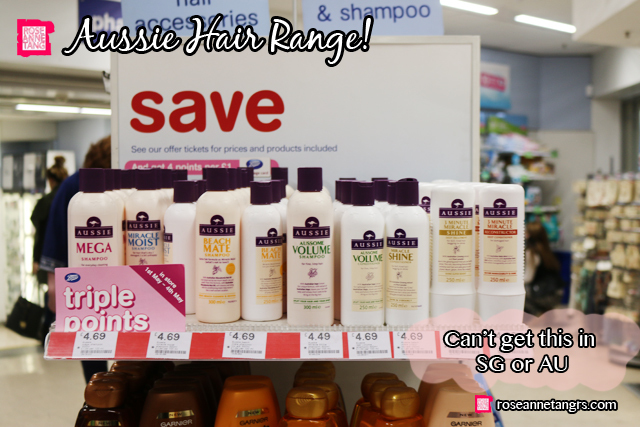 I think Superdrug personally has better deals though but usually all the brands that Superdrug offers, Boots has it too. It’s worth comparing prices before you buy at both stores because usually they are situated quite close to each other. My local mall here in London has both and I’ll check both stores to see which has the better deal for a particular item. 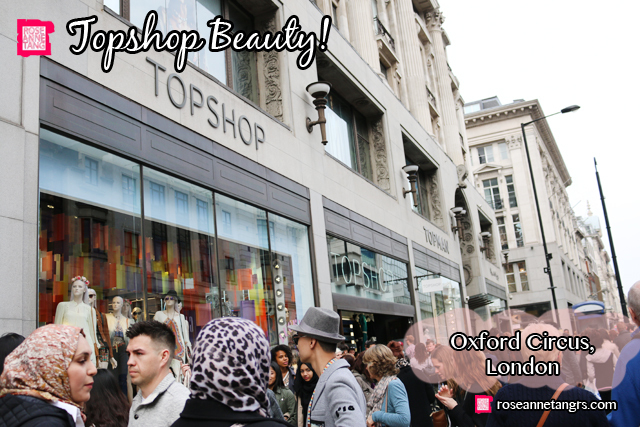 In Singapore, we have Topshop – yes and Topshop make-up – yes. But if you’ve never been to London, you’ll be very very very surprised at how HUGE Topshop is here. Like legit. The store at Oxford Circus is really something to see. Not only is it like an ENTIRE building, it even has a hairdressing and blow bar salon in it, juice and cupcake counters AND an actual EAT. cafe. It’s ridiculous and amazing at the same time. 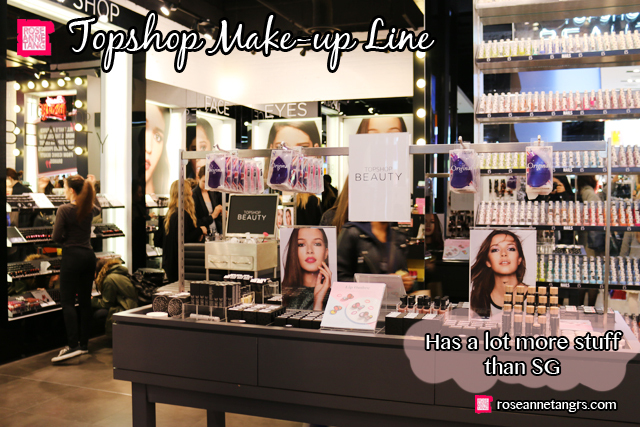 I quite like Topshop make-up actually – the products are pretty good. 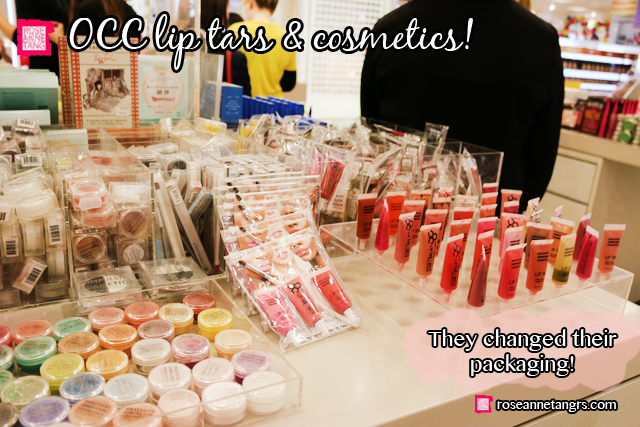 The range here is huge – big enough to have an entire section to itself and the product range is much larger – like they have foundation sticks and ombre lip pots. Besides their own Topshop range, they also have niche brands like Mai Couture. 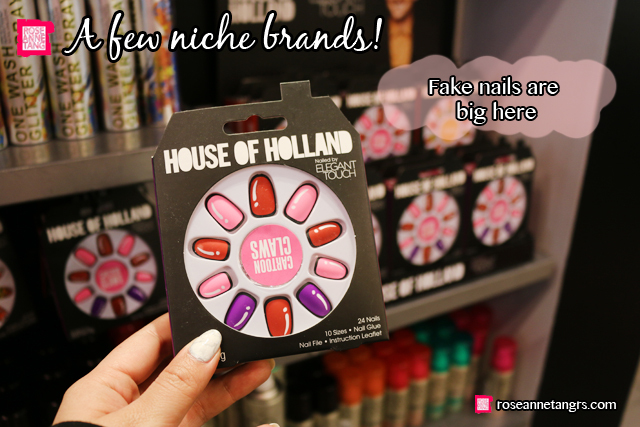 Fake nails and lashes are very big here too so they have plenty of that in all the places I’ve mentioned. The beauty scene here in London is for sure trendy and buzzing. It’s always onto the next big thing and people here aren’t just about finding their standard face to go to work in, or just being satisfied with one or two products. You can see how hungry they are to be trendy in make-up and the brands certainly know how to satisfy this hunger. I love walking around and looking at all the amazing beauty finds that London has to offer. It is something worth seeing in itself. Review: KOSÉ Sekkisei Sunscreens – Sun Protect Essence Gel vs. Milk SPF50! 7 Facts I Learned About Perfume in Grasse, France – Perfume Capital of the World! Must Eat in Singapore: Saveur @ Purvis St. I never knew Urban Outfitters had a beauty section! 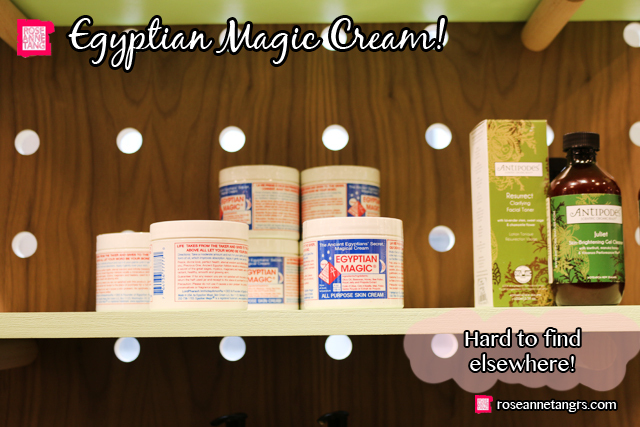 Gosh all those years spent tracking the elusive Egyptian Magic cream online could actually be found at an Urban Outfitters!! Reading this post definitely took me down memory lane where I would spent hours walking around these pharmacies / beauty counters!! hi roseanne, would u recommend using bronzer or a darker shade of foundation for contouring, and if the latter, in which type of formula? thank you very much!